/EINPresswire.com/ -- HONG KONG, CHINA--(Marketwired - Dec 1, 2017) - Two spectacular light shows over Hong Kong's Victoria Harbour -- the new version of the internationally acclaimed nightly multi-media light show A Symphony of Light and the winter version of the Hong Kong Pulse Light Show -- unveiled on 1st December 2017. The two world-class shows, best viewed from the Tsim Sha Tsui waterfront, will brighten up Hong Kong's Christmas with dynamic lighting effects and the illusion of an icy atmosphere at the Hong Kong Cultural Centre. 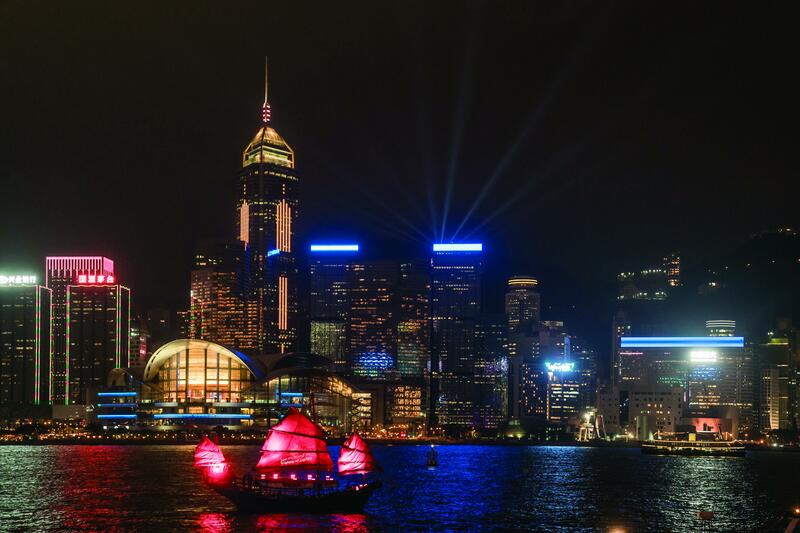 The new version of A Symphony of Lights features dynamic rays of light sent out in rhythm from 40 buildings and locations on both sides of the Victoria Harbour. The new show incorporates a variety of exciting lighting effects such as coloured searchlights, lasers, and all-new beam lights sent out like a special fan-shaped lighting effect from the roof of the Central Government Offices and the Revenue Tower. Ten LED panels on a number of harbourside buildings are for the first time joining the multi-media show, displaying images and messages to encourage audience participation. The show is complemented by music from Asia's leading classical orchestra the Hong Kong Philharmonic Orchestra, providing visitors with a thrilling and unforgettable sound-and-light experience. The 10-minute show begins at 8pm every evening. Immediately after A Symphony of Lights, the winter version of Hong Kong Pulse Light Show begins at the Hong Kong Cultural Centre. Spectators can view it from the Hong Kong Cultural Centre Piazza. The 3D projection show begins with a snowstorm which covers the Hong Kong Cultural Centre in snow and ice and blows away the numbers on the Clock Tower, stopping time just before Christmas arrives. An ingenious dragon then sets out to find the missing numbers which are scattered across Hong Kong landmarks. The dragon eventually finds them and restarts time to save Christmas. During the show, the piazza is decorated with snowing effect along with glowing LED balls and a giant crystal ball. The 8-minute performance runs from 1st to 28th December 2017.